I like the look of this one, will it be available in the UK? 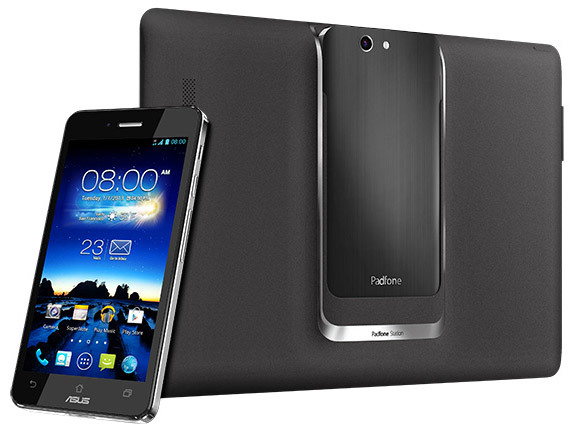 I have the new PadFone Infinity launched in October. It has faster processors (Quad-core 2.2 GHz Krait 400 vs Quad-core 1.7 GHz Krait) and chipset (Snapdragon 800 vs Snapdragon 600) and adds a microSD card slot. Otherwise the same as the first Infinity model and the phone body is identical so cases and covers for the first model does also fit the new model. The PadFone station, the tablet screen dock, is still the same. Battery capacity is also the same so with the faster CPUs, battery life is less. With 32GB inside the phone and a 64GB microSDXC card I have plenty of space for music and movies. Memory cards formatted as exFAT are supported so I just inserted the same card I used on my previous phone (SGS4).